Maybe that's why they're 75p! Suppose I can use them as screen wipes! Edit: Actually, scrap that, not if they have oil in them. These are awful and dont work! Just an fyi, I have sensitive eyes and these BURNED my eyes so bad, the only thing I have been able to use to remove eye makeup has been Simple. Realised this has already been posted however code is different! Oo great ty Time for a new lippy?! oops the picture didnt come up - sorry! Never miss a 'Make Up' deal again! Code not working for me :( £48 spend, so over the threshold. Any restrictions in place on type that anyone knows of? Think you're missing a few - Hero collection (5 full size plus 2 extras) - 5 samples which you can select, and then use code healthy for 3 additional samples. So the hero collection + 8 other lines! Yeah I ordered some last time they did this but delivery was free with £10 spend then! 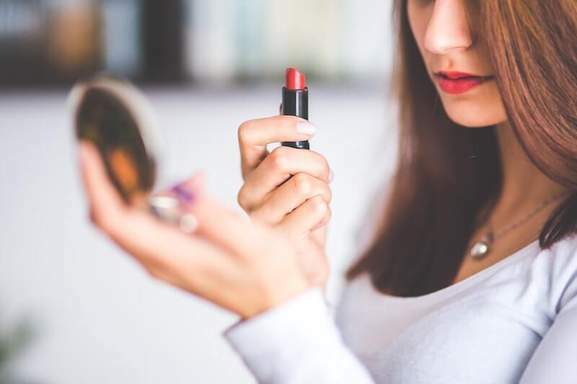 Whether it’s worn to boost confidence, as a form of self-expression, or just because it looks and feels good, applying make up is an important process for many people. The right products make it easy to transform or enhance your face in minutes, for a special occasion or daily glamour. Unlike many other beauty treatments, make up requires no commitment, wearers can conjure up incredible results then just wipe it all away at the end of the day. People have always painted their face and body using a range of pigmented materials, this was done to imitate nature or to produce attractive patterns. By 3000BC, nail paint, lipstick and face powder were common in Chinese, Greek and Egyptian culture, but they often signified wealth or social status. 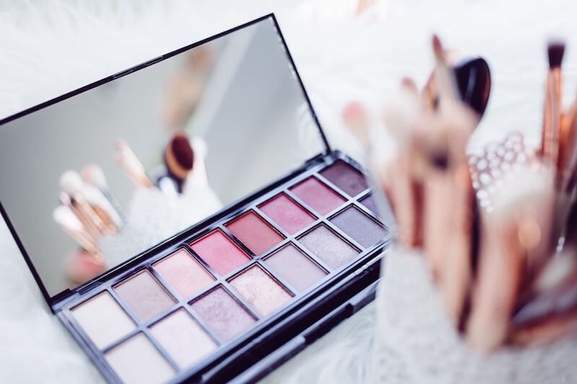 Over the centuries, the use of make up has remained popular, although it is now made using more sophisticated ingredients and is accessible to all. Primers – Face primers help to keep layers of make up in place, they give your skin a healthy-looking glow and keep everything matte. Some people wear a primer on its own for a very natural look, as it minimises the appearance of pores and shine. Foundations – Designed to match the wearer’s skin tone, foundations come in liquid, powder, cream and mineral form. You can choose one that provides a light coverage to even out any imperfections or one that offers full coverage for a completely even tone. Many foundations contain anti-oxidants and moisturising extracts to continuously protect your skin. Concealers – Considered by many to be the key to a flawless complexion, concealers are applied either before or after foundation to cover dark eye circles and blemishes, or to highlight your best features. Just like foundations, concealers are produced to match a wide range of skin tones. Powder – A dewy glow is beautiful, but no one wants to end up with a glistening nose after they’ve carefully applied their make up. Face powders add the finishing touch to your look, minimising shine and pores without appearing caked. Apply loose powder with a brush in downward strokes, or dab on pressed powder, then brush off the excess. Eyeliner and shadow – There’s a very broad selection of eye make up to consider, from muted powdery shades to full-on pops of cream colour that ensure you’ll stand out in a crowd. Eye liners can be smudged for a smoky look or used to produce a solid line for sultry cat-eye swishes. Mascara – Enjoy big dark lashes, or a more natural finish by brushing on a few coats of mascara. There are products to create a fuller look, to curl, or to define individual lashes, so you can always select one that works for you. Blush – One of the most valuable items in a make up bag, blush comes in powder, gel or cream formulas. When matched with your skin tone correctly, it illuminates your face with a fresh, healthy glow. Blush can be applied after foundation and powder, or onto bare skin. Lipsticks and liners – Lips can look bold or demure, with a high-gloss or matte finish, depending on your mood. Use a precision lip liner, a blurred balm or a creamy jelly to deliver colour that can last all day. Products like the Bobbi Brown Nourishing Lip Colour, contain added ingredients which work to hydrate the delicate lip area. Bronzer – You don’t need to go abroad for a gorgeous sun-kissed glow because that’s what bronzers are for. These powder and brush combinations provide a shimmering luminosity to your face, and you can build up the colour in stages for a natural look. To make the most of your cosmetic collection, you’ll need a few accessories. Make up sponge – Perfect for dabbing on foundation, tinted moisturiser or blusher, and then blending it to perfection. They come in many shapes and sizes, but a make up artist will usually go for an egg-shaped sponge as the soft edges make it easy to achieve seamless coverage. Brushes – For dusting on glitter, contouring and adding eye colour, brushes are one of the best accessories in your collection. You can buy them complete with a bag, for safe storage. Mirror – A good mirror reveals every area of your face in close-up, so you’ll never leave the house with an unsightly tide mark or smudge to spoil your look. Choose one with built-in lighting for the clearest possible view at close range. Make up bag – Finding the right storage for your make up helps to keep it safe and to hand when it’s needed. Buy a small make up bag for travel, and a larger version for your boudoir. The term ‘skin tone’ refers to the colour your complexion is naturally, without any make up. To find out how yours would be classified it’s best to look at the area of skin that’s nearest to your jawline. You may have exactly what a make up artist would consider medium, fair or dark, but the chances are you will be somewhere in between, with medium-dark, medium-olive, or very fair skin. This is what makes finding the right tone of foundation so difficult, but here are a few tips to get you started. Are you tanned? – If you always self-tan then you’ll need to take this into account when choosing a foundation. Shop when you’re the colour you prefer to be, rather than paler or darker than usual. Test on your face – Most people like to test a new product on their hand, but it’s best to try out the foundation on your face. Dab three different shades close to your jawline and see which blends the closest. Select in daylight – If you will be appearing in natural light, check the look of each shade outside. Is it right for your skin? – Foundations are formulated for various skin types, look for mature, dry, sensitive, or oily, and select one that benefits your complexion. Coverage level – Depending on your preference, you can go for a light, medium or heavy degree of coverage. This could vary between the seasons, as most people prefer a light look in the warmer months. Or, you can choose a heavier look for dramatic evening make up. Which Colours Compliment Particular Skin Tones? If you are still trying to perfect your look, but can’t seem to achieve exactly what you’re aiming for, it may be down to your colour palette. Knowing how to pick out the most flatting shade of eye shadow, blush or lip liner for your complexion, can help you develop a finish that you’re happy with. Fair skin – Ivory skin has an enviable luminescence, but finding the right colours to coordinate with your fair complexion can be a challenge. For some people who are pale, even pastel colours can really pop out and take over their whole look. If you stick with gentle peaches, soft corals and mellow pinks you can create a far more natural finish, one that brings out the best in your porcelain features. Medium skin – When your skin tone lies somewhere in between the other types, you have a natural warmth to your appearance even before applying make up. You could consider golds, bronzes and shades of honey to boost this effect, applied in the form of bronzer or highlighter over your cheek bones. Eye shadows in smoky shades of grey, blue and purple will suit you, then slick on dark berry or rich pink shades to your lips as a finishing touch. Olive skin – A healthy-looking tone that often tans beautifully, olive skin can really be enhanced with few swishes of highlighter to the forehead and cheekbones. You don’t need to pile on make up too thickly, or you could risk hiding your natural tone. You have plenty of choice in lip colour, from scarlet to peach gloss, but avoid pinks that may clash with your complexion. For your eyes try warm shades of peach and pink for a daytime look, or smoky grey hues for night time glamour. Dark skin – A rich tone that can carry most bright colours effortlessly, dark skin looks incredible with glossed lips and cranberry blush. A shimmer of bronzer just adds to your natural appeal, and for your eyes, burgundy, peach, or gold shades will create a bright, seamless effect. For a no-filter needed complexion, it’s best to spend ten or fifteen minutes preparing your skin before applying any make up. Start by cleansing to remove any excess oil and dirt. Begin by massaging your cleanser all over your face and neck area, then either rinse off or wipe away depending on the product you’re using. Exfoliating isn’t a weekly treatment, it should be something you do each day to slough away dead skin cells that can leave your complexion looking grey and dull. It helps to uncover fresh new skin and produce a smoother surface, ideal for the next stage. Smooth on a serum to keep in any moisture lost through the exfoliation process. This is an important step after deep cleaning your pores, so leave the serum to dry before moving on. Moisturise sparingly to plump up your complexion and create a softer surface for applying make up. You can follow this step with a primer if you’d like to stop your foundation and moisturiser from combining. You’re ready to begin applying foundation. It takes time and money to build up a make up collection, so it’s worth protecting your investment with the correct type of storage. Compartmentalising is a great way to keep everything clean and ordered, there are even special make up boxes, cases and brush holders to buy. Just pick up a few containers, place them inside a large draw, and then group products of similar size or shape together. Use decorative jars as storage for brushes, as this keeps the bristles free and makes them easy to pick out when needed. Brushes are a crucial tool in any make up kit, but if you want them to last, it’s important to take care of them. After regular contact with your skin they can start to harbour oils and dead skin cells which in turn could house bacteria, so keeping them clean is good for your health. So, what is the best cleansing routine for brushes that are in regular use? When to clean – Most people will need to clean their brushes every two weeks. You can tell when a brush needs washing as its natural softness will disappear, plus you’ll be able to see a powdery residue. Which soap to use – Although special cleaners do exist for washing make up brushes, you can use baby soap, or an unscented bar of soap to rinse them through. Be very gentle with the delicate bristles as you wash, so the brushes maintain their shape. Drying out – When you’ve washed and thoroughly rinsed your brushes, let them sit on a towel for between three and six hours to dry. What are the Advantages and Disadvantages of Wearing Make Up? Some people enjoy wearing make up every day, whilst others just put it on for special occasions. Here’s a look at what can be gained by applying a little colour to your face, and what the potential drawbacks can be. Picture perfect looks – Make up creates a smooth, flawless base, so your skin looks cleaner and more luminous in photographs. By also accentuating your lips, eyes and cheek bones, you can take this to the next level. Confidence boosting – Once you’ve honed your skills, make up can help you to feel more confident and comfortable in yourself. Brush away imperfections – No one has perfectly clear skin, but it’s easy to create an immaculate finish with a few good products. 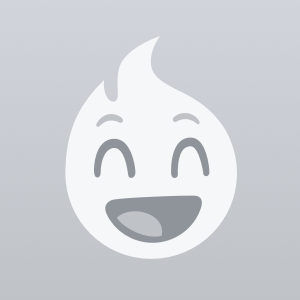 Get a new image – When you feel like a change, you can create a whole new look. Attractive features can take centre stage – Almond eyes, full lips and high cheekbones always look good, but make up can add extra definition so they appear even more striking. Improve your mood – If you’re having a tough day, adding a splash of colour to your lips or eyes can feel fun and uplifting. Nourishing skin treatment – Brands like Clarins have developed make up that actually protects and hydrates your skin, as well as providing great coverage. Fresh-faced every day – When you’ve had a late night, or you feel under the weather, applying make up can rejuvenate your complexion. The best version of you – It’s not necessary to wear layer upon layer of make up, using it to bring out your natural beauty is enough. It’s habit forming – Once you’ve gotten used to looking healthy and unblemished, it can be difficult to go back to a bare-faced look. Extra time is needed – After fine-tuning a basic routine you can probably get it finished within 15 minutes, but intricate looks could take an hour or more. Correct removal is vital – Taking your make up off properly at the end of the day or night, is important. 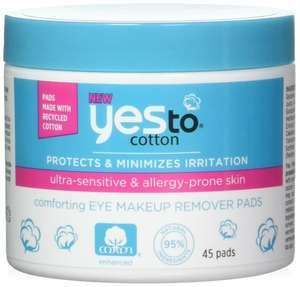 Use separate eye make up remover, cleanser and toner to get squeaky clean skin before smoothing on moisturiser. 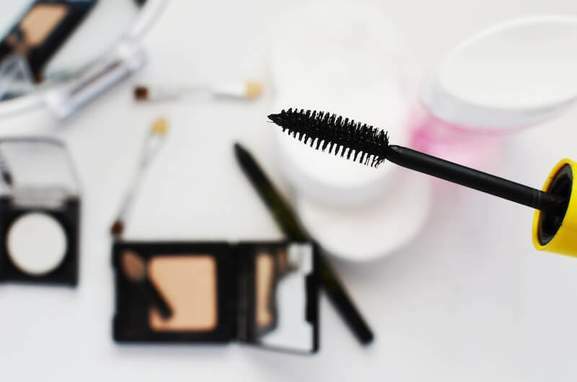 Make up has a sell by date – When make up passes its sell by date it can look and feel unpleasant, so some products may have to be disposed of before they are used up. Finding a balance – Getting to know your face can take a while, but there are plenty of YouTube tutorials where you can pick up hints on how to pull off trickier skills like contouring and eye lining. You can shop for big name cosmetic products online at beauty retailers like SpaceNK, Birchbox and Look Fantastic. 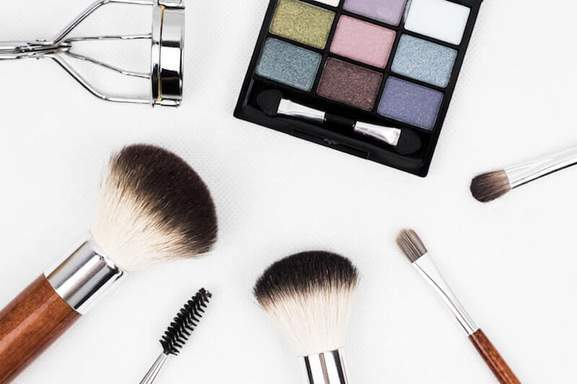 Large department stores like Debenhams, House of Fraser, and John Lewis all have extensive make up departments where you can shop a specific collection, or browse through products by type. Many supermarkets have also created their own lines, usually offering cheap make up of great quality. Tesco’s Barbara Daly collection has had an overhaul recently, whilst Asda has launched a contour set and Aldi have their Lacura make up range. 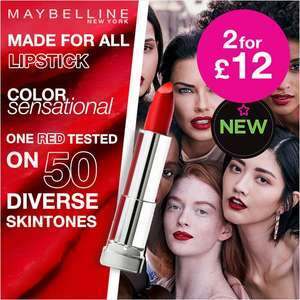 Finally, you can go straight to the homepage of cosmetic brands like Chanel, Dior or L’Oréal if you’re looking for high-end products, or Rimmel, MAC and Barry M for more reasonably priced beauty deals. During the general sales held at Christmas, summer and spring, you can find the best make up deals at big stores like Selfridges, Marks & Spencer, and online at eBay. At various times of year retailers like The Body Shop and Superdrug offer bonus gifts like a make up sponge, bag, or mirror, that comes free with a purchase, so your money goes further. When the Black Friday event takes place in November each year, you can find cosmetic offers at Amazon, Boots, Next, and many more stores that join in with the annual promotion. Look out for new offers on make up sets, accessories, and individual products, every day, at the regularly updated HotUKDeals make up page.